Dr. François Cardarelli, President and Owner of ELECTROCHEM TECHNOLOGIES & MATERIALS INC., is a chartered chemist with a strong physical-chemistry background and a Doctorate in Chemical Engineering from the University Paul Sabatier -Toulouse III. He has over 28 years of industrial experience in North America and Europe in developing electrochemical, chemical and metallurgical processes for winning, refining or producing a variety of metals, alloys and inorganic chemicals either from aqueous solutions or molten salts media. 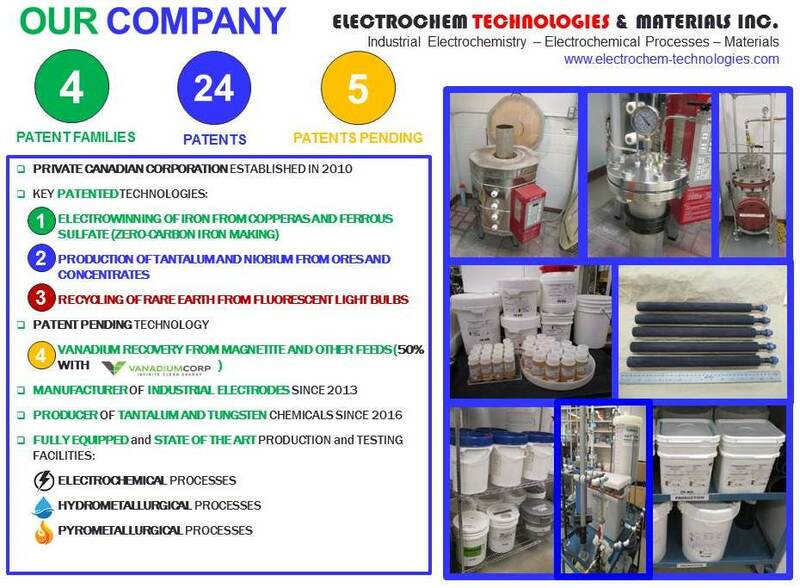 A particular area of his professional expertise is the electrochemical treatment of mining residues, metallurgical wastes and industrial effluents, the electrochemical remediation, the electrochemical regeneration of spent pickling liquors (SPLs) and waste acids, the electrowinning of metals from pregnant leach solutions (PLS), the high temperature electrowinning of refractory metals such as titanium and tantalum from fused salts or molten slags, the selection of advanced materials, and finally the manufacture of novel industrial electrode materials. Dr. François Cardarelli is a member in good standing of the following professional organizations and societies: American Institute of Chemical Engineers (AIChE), American Chemical Society (ACS), Chemical Institute of Canada (CIC), Canadian Society for Chemical Engineering (CSChE), Mineralogical Society of America (MSA), Ordre des Chimistes du Québec (OCQ), and The Minerals, Metals and Materials Society (TMS). For additional information please visit the following URL: [www.francoiscardarelli.ca]. at 5N Plus Inc. (Saint-Laurent, QC, Canada), he was Manager of Recycling for developing and implementing novel hydrometallurgical processes for the recycling of thin films photovoltaic solar panels and the recovery of minor metals from end-of-life (E-o-L) solar panels, various metallurgical and industrial wastes. He also initiated and lead a program for the geological exploration and mining prospection of new ore deposits worldwide for the sourcing of tellurium-rich ores and tailings. at Materials and Electrochemical Research (MER) Corp. (Tucson, Arizona, USA), he was Principal Electrochemist and Materials Expert working on the electrowinning of titanium metal and various alloys powders from composite anodes by the MER Process. On the other hand, he participated to the synthesis of titanium alloys powders prepared by various metallothermic processes (e.g., magnesio-, sodio-, or calciothermic). He designed and scaled-up molten salt electrolyzers from bench scale to pilot plant scale, including the design and sizing of auxiliary equipments (e.g., fixed and fluidized bed chlorinators, dust collectors and cyclones, vacuum evaporation retort, chlorine gas scrubber, lithium brines recovery system). 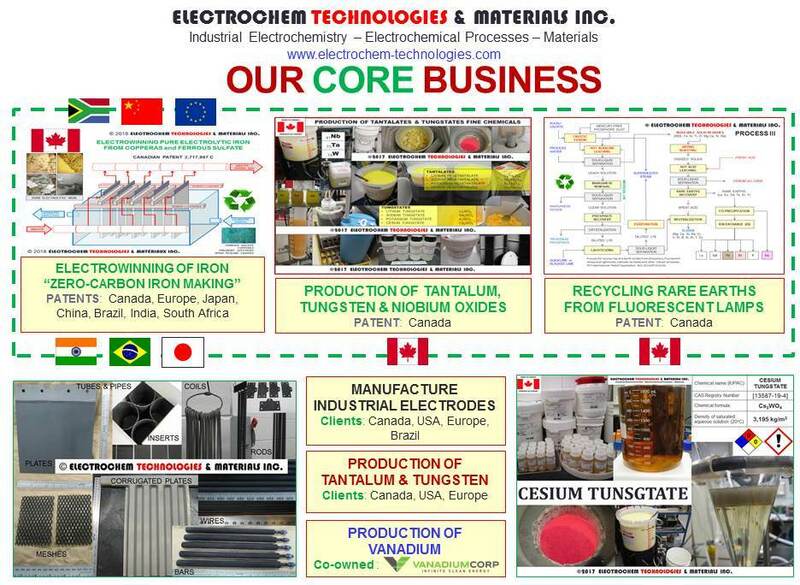 at RIO TINTO Iron & Titanium Inc. (Sorel-Tracy, QC, Canada), as Principal Chemist Materials, he lead the development, scale-up and application of novel electrochemical technologies he invented. One patented process was used for electrowinning titanium metal directly from molten titania slags and other titanium-rich feedstocks. The second process is used for the electrochemical recovery of metallic iron and the concurrent production of chlorine gas from iron-rich metal chlorides originating from carbo-chlorination residues. He also provided scientific and technical support for the benchmarking of brick and castable refractories used in the company iron and steelmaking plants. Concurrently and in close collaboration with Dr. Michel Guéguin, he worked extensively on the chemistry and mineralogy of titania slags and other titanium-rich feedstocks. Finally, he provided in-house training, scientific and technical support regarding the radioactivity of some titanium-rich feedstocks, ores and concentrates. at AVESTOR Corp. (formerly ARGOTEH Productions, now BATHIUM) (Boucherville, QC, Canada), he worked first as Battery Product Leader, in charge of lithium polymer batteries for electric vehicles, down-hole drilling and telecommunications applications, defining technical specifications for lithium polymer batteries according to customer's requirements. Later he worked as an Industrial Electrochemist & Materials Expert for providing scientific and technical support for the metallurgy and the processing of thin film lithium metal anodes. He was also in charge of the sourcing of strategic raw materials and metals used in lithium polymer batteries such as lithium and vanadium. Finally, he invented and developed two pyrometallurgical and hydrometallurgical processes for the recycling spent lithium metal polymer batteries. as a registered professional consultant in Toulouse, he solved problems in electrochemical engineering, the selection of industrial electrode materials, the design of advanced batteries, the selection of corrosion resistant materials towards molten alkali-metal hydroxides, the characterization of natural radioactivity in rare earth concentrates (monazite, xenotime, loparite, bastnaesite), and the design of high-temperature processes. During that period he was also doing presentations on Nuclear Sciences and Technologies in relation with the 100th anniversary of the discovery of radioactivity. as scientist, at the UPMC-Laboratory of Electrochemistry (Paris, France), he designed and built a nuclear scintillating detector for tracing beta-emitting radiolabeled compounds. 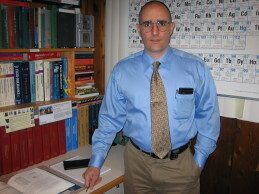 Dr. François Cardarelli has authored several reference handbooks such as the Materials Handbook. A Concise Desktop Reference and the Encyclopaedia of Scientific Units, Weights and Measures both published worldwide by SPRINGER London & New York. He is also inventor or co-inventor of several electrochemical, hydrometallurgical and pyrometallurgical processes that are all protected by international patents. He is also a gifted hands-on scientist, having experimented, invented, designed, built and tested numerous electrochemical pilot installations. As chemist, by both passion and training, he is always strongly health and safety oriented in all the aspects of a project from the laboratory until its final implementation. Because of its geological background, he is also actively involved in the organization of mining prospection and geological exploration programs and the participation to field trips for auditing open-pit and underground, either abandonned or active, mine sites for the sourcing of strategic raw materials and metals together with a team of US and Canadian geologists and mining engineers. In addition to his scientific and technical expertise, he has developed strong skills for evaluating the economical feasibility (CAPEX & OPEX) and financial analysis of novel technologies. Keywords: industrial electrochemistry, electrochemical engineering, electrochemical processes, electrothermal processes, electric arc furnaces, aluminothermic and carbothermic reduction, ferroalloys, electrofused ceramics, materials engineering, materials science, materials data, properties of materials properties, aqueous electrolytes, molten salts, fused salts, electrolysis, electrode kinetics, corrosion science, electrodeposition, electrowinning, electrorefining, electrocatalysis, electrooxidation, electrocoagulation, electrofloculation, electrodes, cathodes, inert anodes, dimensionally stable electrodes, chlorine evolution, oxygen evolution, mixed metal oxides (MMO), activated titanium anodes, oxide coated titanium anodes, lead anodes, refractory metals, molten slags, liquid metals, lithium, cesium tungstate, titanium, zirconium, hafnium, vanadium, vanadium pentoxide, vanadyl sulfate, ammonium polyvanadate, sodium metavanadate, vanadium redox flow battery electrolyte, vanadium electrolyte production, VanadiumCorp-Electrochem Processing Technology (VEPT), niobium, tantalum, chromium, molybdenum, tungsten, rhenium, rare earth elements, thorium, uranium, applied mineralogy and petrography, extractive metallurgy, pyrometallurgy, hydrometallurgy, electrometallurgy, natural radioactivity, recycling, mining residues, metallurgical wastes, industrial wastes.